You are going to love me for this one. 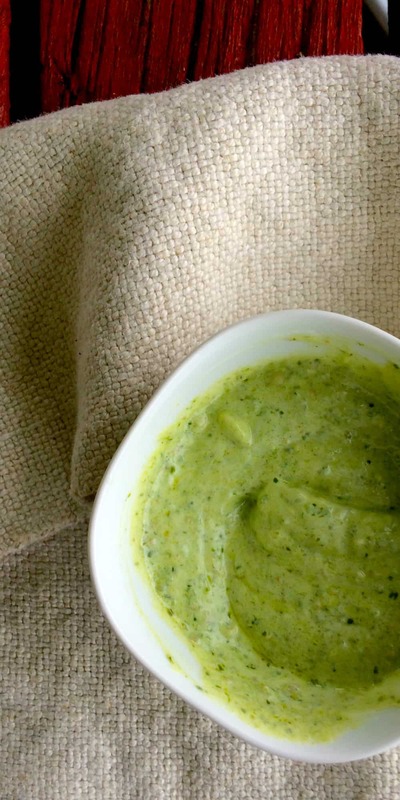 I’m sitting here thinking – How on Earth am I going to write a whole post about this dressing? It’s only got two ingredients. I cannot complicate it. And I don’t want to. 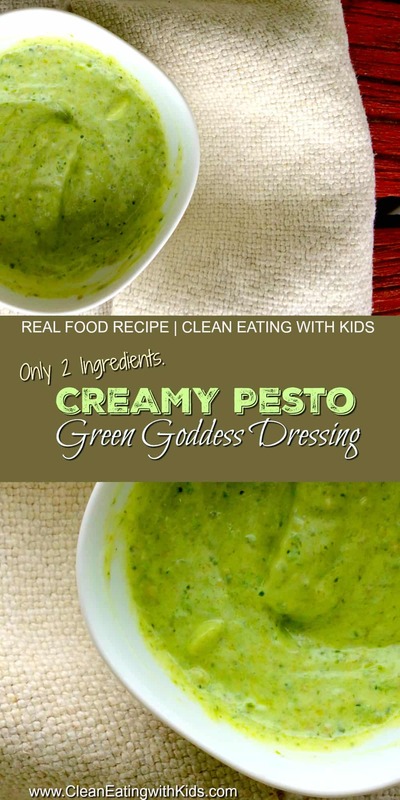 This dressing is a perfect example of the balance you want to achieve in your Real food lifestyle. Preparing Real food takes effort. And time. Find areas where you can cut corners and still produce real, whole food that doesn’t require hours in the kitchen. And I don’t even think this counts as a recipe – except that I use it a lot! It’s an any day kinda dressing I add to salads, stir through pasta, I use it as a dip for corn chips or as a topping for pizza or baked potatoes. The list is endless. And yet it’s is so so so easy. Then … Mix 1 tablespoon of pesto and 2 tablespoons of plain yogurt together. You can try a little harder and make your own pesto, but if you are short on time and big on ‘couldn’t be botheredness’ I think its worth checking if your store stocks a good quality pesto (remember to check ingredients). It’s actually cheaper for me to buy it ready made than to make my own from scratch, unless you have bunches of fresh basil growing in the garden. Which I don’t. I wish I did, but I don’t. [sigh] That’s a project for another day. It’s so pretty too. And we all know that ‘pretty’ matters when it comes to serving a bunch of kiddy critics.